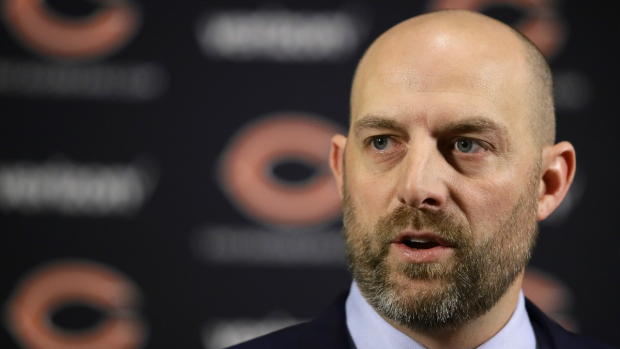 There are plenty of questions surrounding the staffing decisions for new Chicago Bears head coach Matt Nagy, but the team could be getting some clarity on at least one of those positions. Plenty of speculation has been focused on Bears defensive coordinator Vic Fangio, whose contract technically expired on Tuesday. That expiration date allows him to interview with other teams without the Bears giving permission, but at least one of his potential options is reportedly off the table. According to ESPN’s Adam Schefter, the Green Bay Packers, long rumored to be a potential landing spot for Fangio, will hire former Cleveland Browns head coach Mike Pettine as their defensive coordinator to replace Dom Capers in that role. Pettine had been rumored to be a candidate for the Bears’ job if they decided to move on from Fangio, but with him off the market, there is likely an increased chance of Fangio sticking around with the Bears if Nagy will have him. Pettine wasn't the only candidate who came off the market Tuesday either. The Los Angeles Chargers will reportedly hold onto defensive coordinator Gus Bradley, another potential candidate Nagy may have had interest in. Under Fangio’s guidance, numerous players have had breakout performances, including Eddie Jackson and Akiem Hicks, and the team was among the NFL’s best in terms of yards allowed this season. Fangio interviewed for the head coaching position with the Bears, but was passed over for Nagy on Monday.